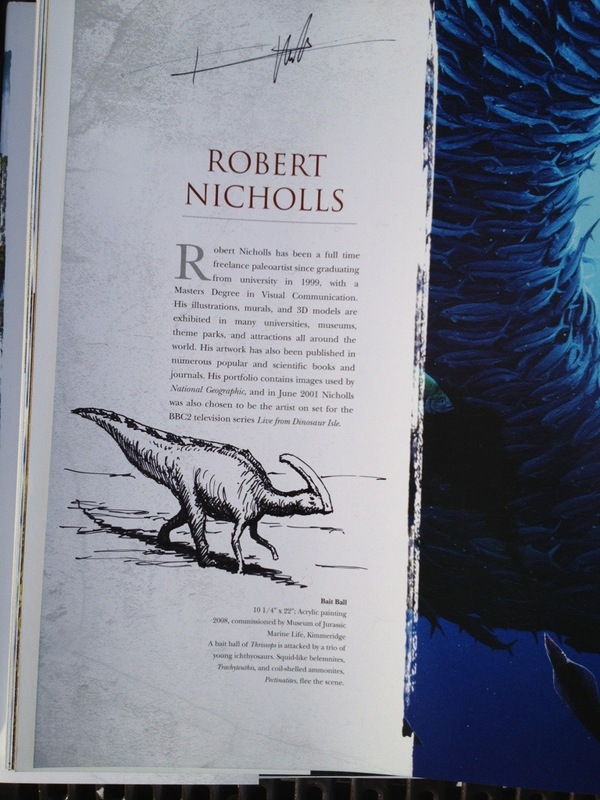 This afternoon I did one of the most relaxing things you can do in Central London: I watched other people sketch Dinosaurs. 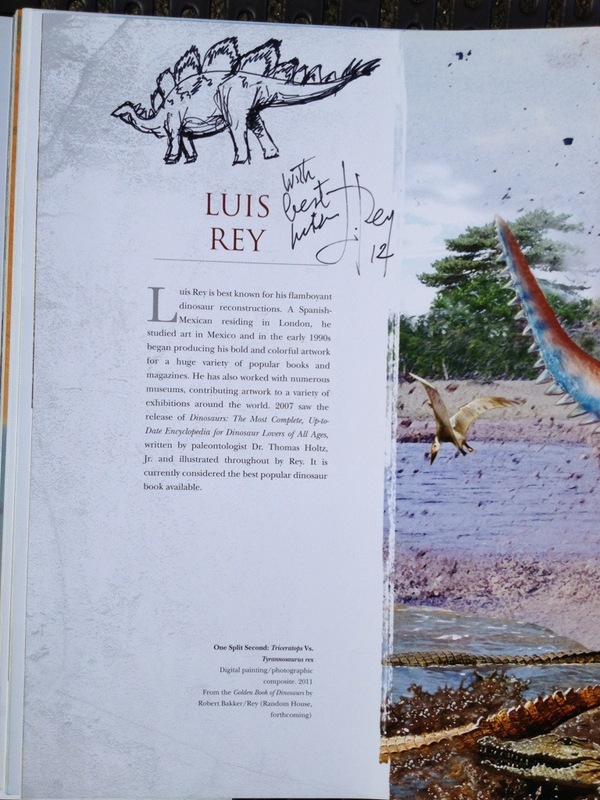 The event was a book signing to promote the new book: Dinosaur Art, The World’s Greatest Paleoart. 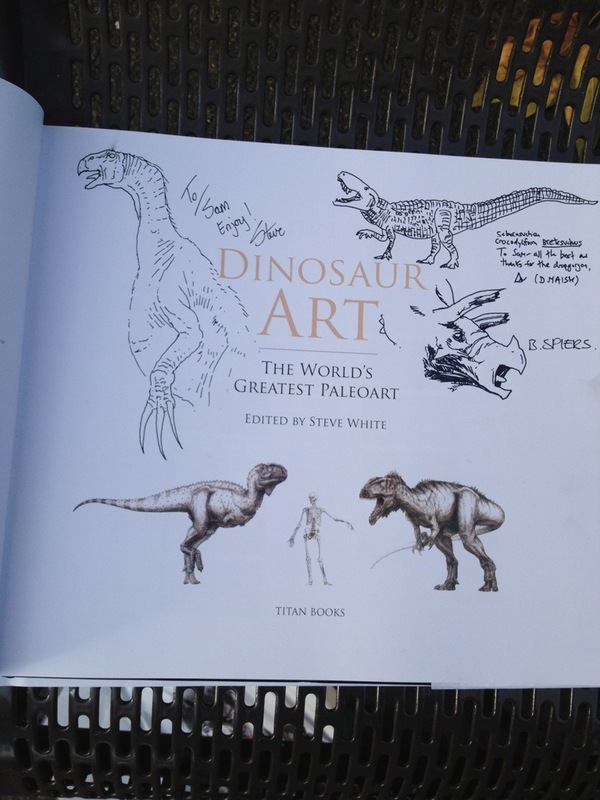 I’ve only flipped through it briefly but I have to say, if you have any interest in Dinosaur art whatsoever, this book is a must-have. Amazon are even doing a £13 introductory offer if you hurry. 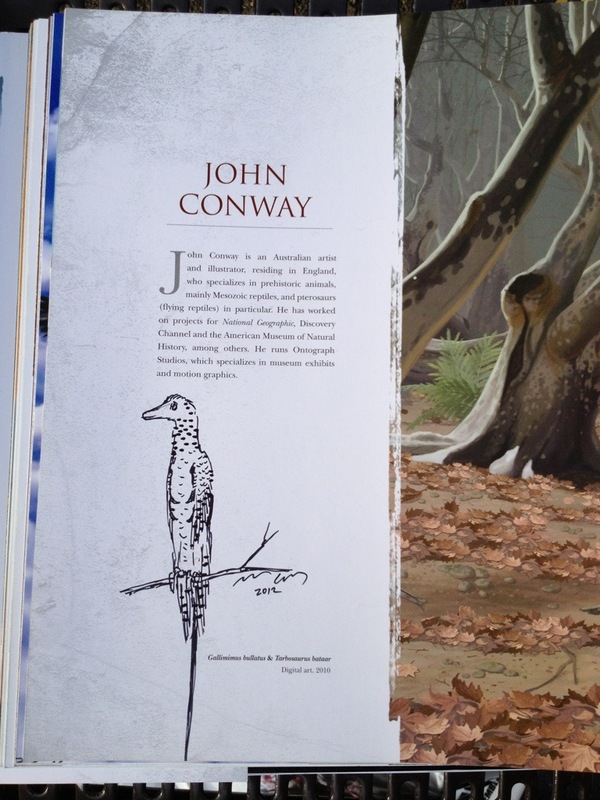 I heard about the book signing long before the Natural History Museum started advertising their event with the artists. After reading the tweets of those who had gone to the latter I was starting to think I should have got my copy of the book there instead. Today’s event did not disappoint. 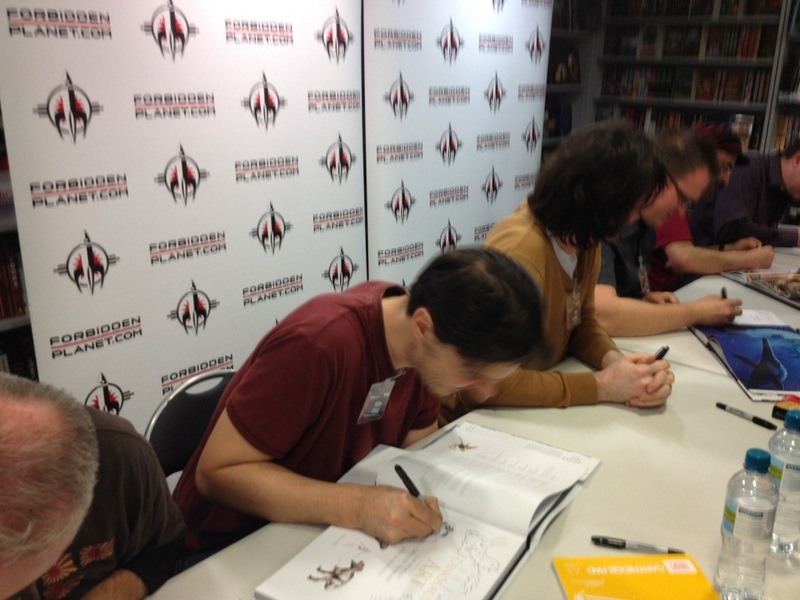 The arrangement was quite informal, with 6 of the book’s contributors lined up, taking questions as they sketched. 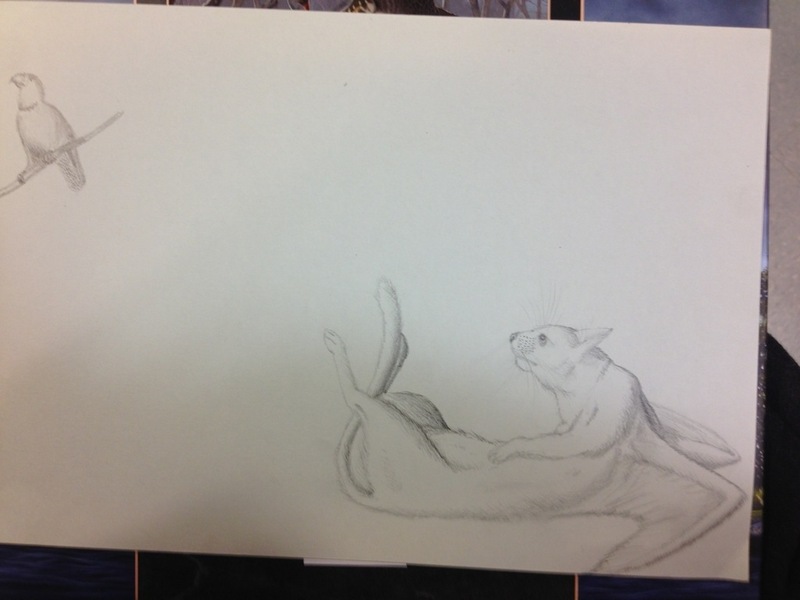 In a break with tradition, I had brought a sketch with me for Darren, depicting his April 1st Dropgorgon. My original idea had been to draw the Dropgorgon being intimidated by a Diatryma but my model was far too relaxed and predatory-looking for it to have worked. When does art become vandalism?